Staff Selection Commission (SSC) has issued the admit cards/ call letters for Combined Graduate Level 2015 Tier-I Exam. The exam will be conducted on August 9 & 16, 2015 across the country. So, you can now download your SSC CGL 2015 Tier-I call letters. How to download your Call letters for CGL 2015 Tier-I exam? Important: To download your CGL admit card, you are required to know your CGL Roll Number. If you don't know your roll number, visit the link given above and generate your Roll Number. If you face any problem, feel free to share here as comments. 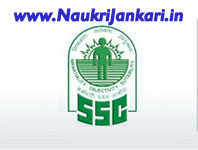 0 comments for " Admit Card for SSC CGL 2015 Tier-I Exam (For All Regions) "